How you get a star on the Hollywood Walk of Fame. How actors really get their stars on the Hollywood Walk of Fame has little to do with talent. Much like finding out Santa Claus isn’t real, the truth about how your favourite celebrities actually got their star on the Hollywood Walk of Fame is kind of a disappointment. Just like the iconic ‘Hollywood’ sign, the Walk of Fame is synonymous with making it big in Tinseltown, having your name forever planted there is a historic piece of worldwide reward and recognition, granted to only the most successful actors, musicians and movie-makers. Well, that’s partially true, at least. According to the Hollywood Walk of Fame website, the walk was first established in 1953 and today, the Hollywood Chamber of Commerce continues to add an average of two stars to the Walk of Fame on a monthly basis, however, the star allocation process is not just based on merit alone. First of all, you don’t just show up on the day and get handed a star, you have to formally apply to the Hollywood Chamber of Commerce and put your name forward to be considered in one of five categories, either film, TV, radio, recording and theatre/live performance and then wait to hear if you make it into the yearly allotment of star allocations the powers-that-be dish out. Before your star can be given the go-ahead to be laid on that iconic walkway or be officially announced to the public, you have to pay for it. And guess what – it’s certainly not cheap. According to the BBC , the sponsorship fee for a Hollywood Walk of Fame star starts at $30,000. Half of that money is used to create the actual star, while the other half is given to the Hollywood Historic Trust, who look after and maintain the walk. A pretty fair amount, actually, when you take into account how much it gets defaced, especially the star belonging to Donald Trump. 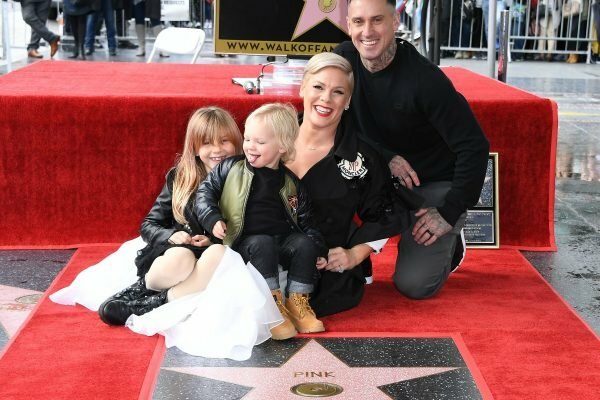 Pink is honoured with a star on The Hollywood Walk Of Fame. Source: Getty. Even with the obscene bank accounts of the actors, musicians and movie-makers whose names frequent the walk, they are not normally the ones who have to fork over the cash. The bill is usually picked up by the studio or company who is producing or promoting the talent&apos;s latest project. Because of this, the Walk of Fame is now mostly used as a marketing tool, rather than a reward. So when one of your favourite celebrities is photographed holding a plaque with their name and a star, chances are their next big blockbuster or Oscar contention film will be right around the corner. "A lot of times, the average person might not connect that you&apos;re seeing a picture of Julianne Moore getting a Walk of Fame star, and that her movie Carrie is coming out in a couple of weeks," Amy Kaufman, a staff writer at the Los Angeles Times, told Marketplace in a piece about how stars can buy their way onto the Walk of Fame . "But the studios put a lot of effort into timing these things just right so it seems like a publicity blitz." Hollywood Chamber of Commerce spokesperson Ana Martinez, the woman who has also been charged with organising the star ceremonies for the last 20 years, confirmed to The Wrap that the star allocations are indeed often tied into marketing or award season campaigns, but they still have to meet all the requirements put forward by the chamber. "The stars are a special honour, and nominees are voted on in an annual meeting," she said. 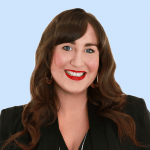 "Recipients at times do tie in the star dedication to projects they want to promote, and sometimes they are done at a time that is best for their schedule. Career anniversaries and birthdays as well." Successful applicants are also expected to bring along a pretty sizeable and famous crowd with them, as it is a tourist attraction first and foremost after all. According to Time, applicants must confirm in writing that they will attend their Star Ceremony and go through the process of photos and speech making. They must also be able to attract a crowd of both famous friends, in order to ensure more media coverage, and a large group of fans eager to be part of the event. A Hollywood Walk of Fame star ceremony should typically attract at least 600 people to be considered a success. Just like the rest of Hollywood, money makes it all go around. But at least it&apos;s pretty to look at.